It's always fun to attend networking events to meet new industry professionals, sip cocktails network. 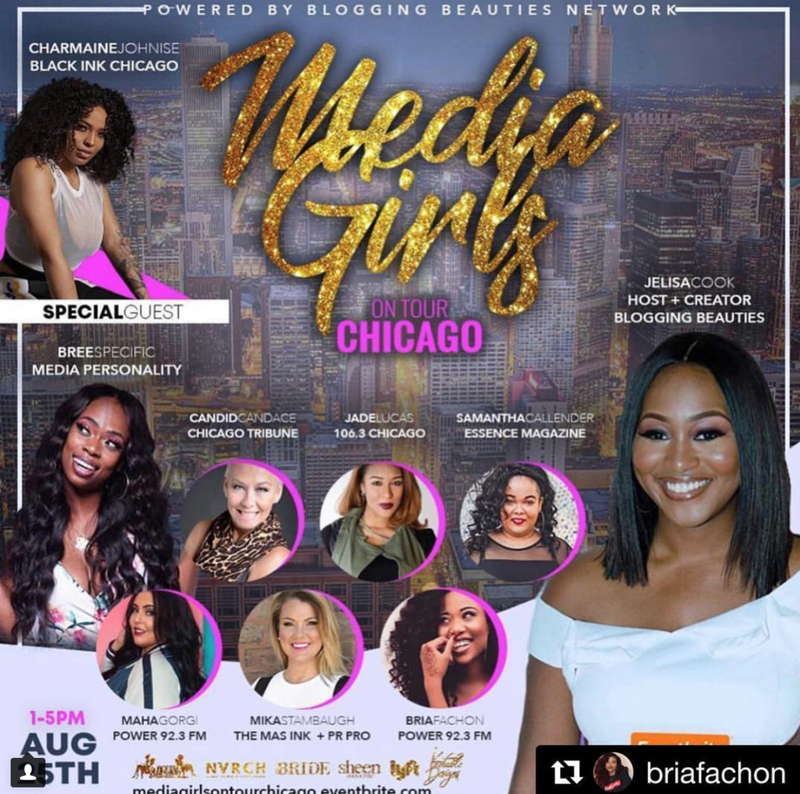 This past weekend the Bomb and Bossy team went to Media Girls On Tour, Chicago edition and it was AMAZING! The event was held at Salon Lokei and featured vendors and a panel of media professionals including Charmaine Johnise of Black Ink Crew Chicago and Power 92, Bree Specific, Candid Candace of Chicago Tribune, Jade Lucas of 106.3, Samantha Calendar of Essence Magazine, Maha Gorgi of Power 92, Mika Stambaugh of The Mas Ink , and Bria Fachon of Power 92. Conversations ranged from what to expect while working in the media industry, balancing family, social media overload, and how to know when to take a break. Each panelist was able to speak to each question based on their level of experience but they all had one thing in common, knowledge and insight to give to attendees. It was amazing being in a room filled with so many talented media professionals and we wanted to share some of our key takeaways from the panel. When asked about what to expect when working in media, most of them mentioned to know when to turn your emotions off. In some industries it can be easy to hide your emotions but when you're interacting with an audience who either see your face or hear your voice your must leave your problems at the door. Another good point mentioned was knowing when to allow time for yourself. This can mean adding self care practices into your daily routine which can include, meditation, social media breaks, or taking moments to simply be present to enjoy what's going on around you. If you're new to the industry and wanted to learn from a professional it was suggested to seek out a mentor. If you can't physically find a mentor near you, follow them on social media, mimic the things they do, attend the same events as them, or simply contact them to let them know you're in interested having him/her as your mentor. Overall there was loads of great advice, tips, and suggestions for how to make in the media industry. We would like to thank Blogging Beauties Networking for having the Bomb and Bossy team apart of your event. If you are interested in Media Girls On Tour and would like to know if they are coming to a city near year keep up them on social media here. Emil Socialize on the influence of UK sneaker culture on the US.